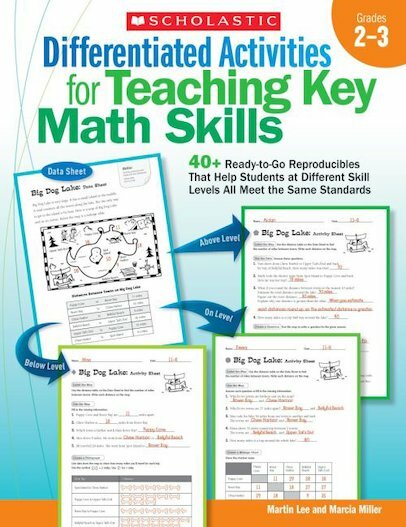 This collection of 14 standards-based activities provides exactly the materials teachers need to differentiate math instruction for the range of learners in their classes. Every set of activities targets a specific skill at three levels-below-level, on-level, and above-level. The activity set begins with a reproducible data sheet that features a set of high-interest data, such as a frequency table of monthly pet store sales. Teachers select the appropriate skill sheet for each student, and students use the data sheet to answer questions at their level. Topics include multiplication, division, fractions, decimals, graphing, geometry, measurement, probability, logic and reasoning, algebra, and more!